the new rocksteady sensation from geneva! 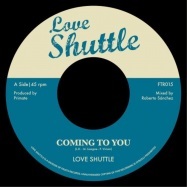 cosmic shuffling brings back the jamaican 60s golden sound with his vintage ska and rocksteady. recorded with just a few ribbon microphones and mixed in the purest tradition by spanish wizard roberto sánchez on analogue tapes, cosmic goes wild is simply irresistible. 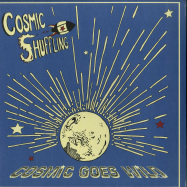 between sweet romance and serious life reasoning, between heavy bass and sweet horns, sharp guitars and rough drums, cosmic shuffling gives a modern approach of an old time music, with a stunning vintage sound ! 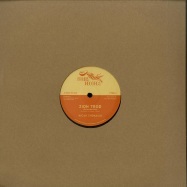 pressed on 12inch maxi vinyl, this record was built especially for sound system purpose. only 300 copies! 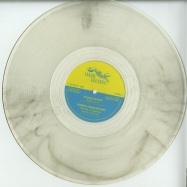 ultra limited pressing of 200 copies! a perfect record for a sunny sunday afternoon. the magnetic buzz riddim brings us back to the jamaican early dancehall days where heavy rub a dub riddims used to rule the dance. 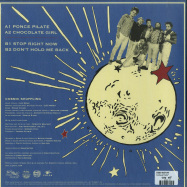 fruits records studio band the 18th parallel travelled to jamaica and teamed up with reggae greatest bass player robbie shakespeare from famous duet sly & robbie to build the explosive and powerful magnetic buzz riddim. sylvan white, famous for hit songs like africans unite or mountain top recorded in the early 80s, comes back in the business after years off the scene with his beautiful song mother nature. then follows an experimental dub mixed by spanish wizard roberto sánchez featuring robbie’s crazy lead bass line. b side shows for the first time on vinyl record young promising artist from rockfort earth warrior followed by the sweet voice of veteran singer delroy melody whos famous for hit songs from 1980 like ease up the pressure and natty dread she want. 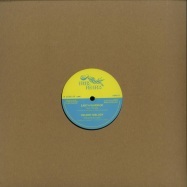 heavy maxi 12inch record paying tribute to the early 80s jamaican reggae! the magnetic buzz riddim brings us back to the jamaican early dancehall days where heavy rub a dub riddims used to rule the dance. 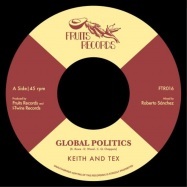 fruits records studio band the 18th parallel travelled to jamaica and teamed up with reggae greatest bass player robbie shakespeare – from famous duet sly & robbie – to build the explosive and powerful magnetic buzz riddim. sylvan white, famous for hit songs like africans unite or mountain top recorded in the early 80’s, comes back in the business after years off the scene with his beautiful song mother nature. then follows an experimental dub mixed by spanish wizard roberto sánchez featuring robbie’s crazy lead bass line. b side shows for the first time on vinyl record young promising artist from rockfort earth warrior followed by the sweet voice of veteran singer delroy melody whos famous for hit songs from 1980 like ease up the pressure and natty dread she want. 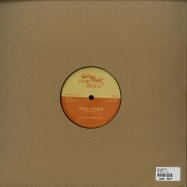 heavy maxi 12inch record paying tribute to the early 80’s jamaican reggae!